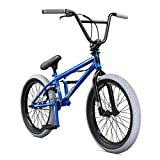 What to look for when buying cheap BMX bikes? So, you want to buy a BMX bike but are unsure of which one. To help you, we have compiled a list of what we think are the best cheap BMX bikes available to you. For a striking introduction to freestyle BMX bikes, the RoyalBaby offers a great unisex experience, available in many colors. It has an aluminum fork frame, leading edge dropouts and substantial rubber tires. They are 2.4 inches in width, have good traction and advanced tread action. The RoyalBaby has wheel rims created from steel with 28 holes, a chain guard, non-slip pedals to increase safety and reflectors to advance the visibility of the rider when riding in difficult conditions or in the dark. With the one piece crank, front caliper brakes, rear band brakes, and a bell, safety is paramount with this freestyle bike, along with the added function of having a special side brake lever for helping kids learn to freestyle. Use the rubber grips to increase your comfort as your ride and enjoy cycling with the specialist saddle and quick release seat post clamp. Rest assured that learning to freestyle on a BMX has never been so safe or so comfortable. 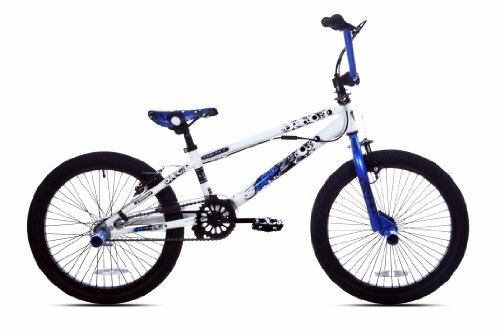 Why We Like It – We like the RoyalBaby BMX Freestyle Kid’s Bike because it has everything a child needs to learn to ride a bike and progress towards learning the art of BMX riding. See more cheap bikes here. Standout from the crowd on the Kent Pro bike with its stylish design, intense colors and fun pattern. It has a steel fork frame that has been tig welded and comes with a freestyle rotor when it is delivered. 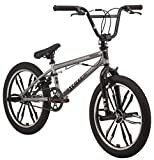 The 20-inch wheels have pegs, so offer stability, friction, and resistance required for undertaking tricks and stunts. There are rear and front brakes, as well as an alloy seat clamp to help make the most of stunts, tricks, and difficult maneuvers. A great bike for learning how to freestyle and for starting to become more advanced at tricks, and stunts, once stability, balance, and speed have been maintained. 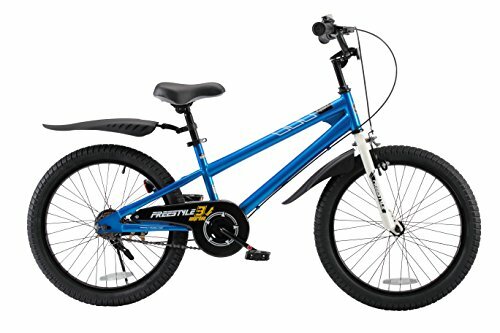 Why We Like It – We like the Kent Pro 20 Boy’s Freestyle Bike, 20-Inch because it is great for younger, smaller kids to learn how to do tricks, stunts and new maneuvers on while remaining safe. For the younger freestyle riders, this is a great BMX option as it aids the rider to learn how to do all of the grinds, tricks, and stunts they could ever desire, thanks to its four freestyle pegs. Its frame is very strong as it has been created from steel, is forked and has a 20.25-inch top tube. 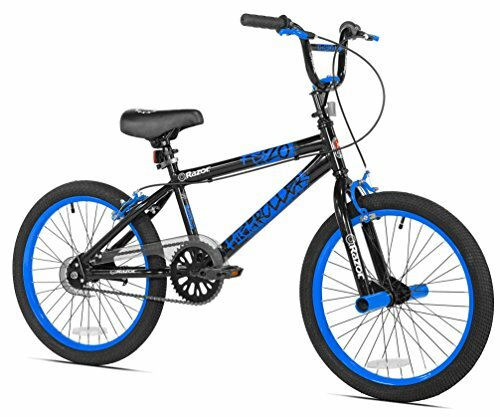 It has easy to use but sturdy one-piece forged steel cranks, U-brakes and 360-degree brake rotor creating a reliable freestyle bike for any youngster. It has a tangle-free braking system, 2.3-inch tires enhancing performance, grip and maneuverability, and 20-inch wheels. 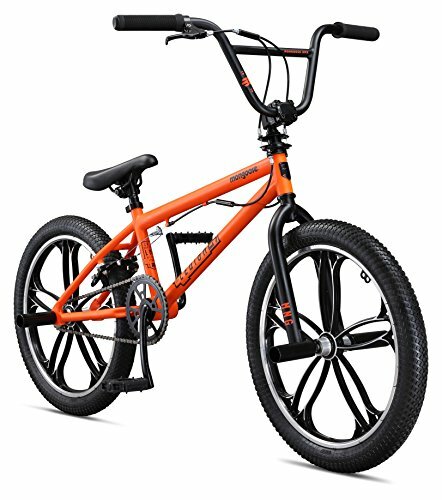 Why We Like It – We like the Mongoose Legion L20 Boy’s Freestyle BMX Bike because it is great for enabling children to learn how to ride without the danger of getting tangled in the brake system. You might be interested in: Cheap Mountain Bikes. Be the leader of the pack with this Razor Nebula and look as sharp as its name suggests. It has a forked steel frame, helping with stability, strength, and structure, and comes with a freestyle rotor. With both front and rear handbrakes, you will always remain fully in control, assisting with all stunts and tricks you wish to do. It has 20-inch wheels with pegs and also has an alloy seat clamp. It’s smart, sleek and sharp – what’s not to love! Why We Like It – We like the Razor Nebula BMX/Freestyle Bike, 20-Inch because it looks so good and is great for new riders to learn how to remain in control of their bike when stunting. Ideal for learning how to BMX, use the training wheels to maintain stability as you decipher your new technique. With a low, stand-over steel frame, it helps to maintain control and is easy for users with shorter legs to get on and off. To increase the confidence of new riders, use the foot brake. 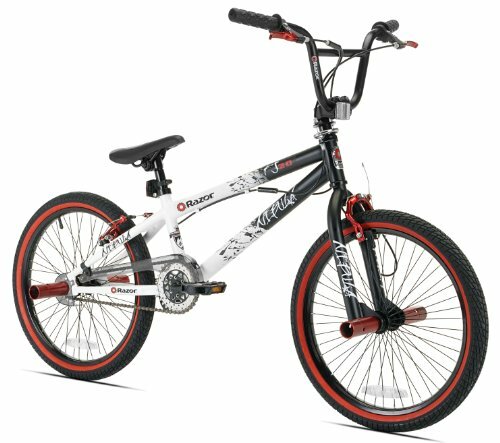 The Mongoose Stun Boy looks just like a professional BMX bike, has plastic mag wheels and grips that match to enhance the style, comfort, and safety. It has an alloy four-bolt stem, 18-inch wheels, and a two-piece handlebar so that the structure’s strength is increased. The chain is durable and is protected so that your BMX learner won’t get scratched or cut unintentionally. Perfectly suited for new freestyle riders between the ages of six and nine, the Mongoose BMX is the perfect BMX teacher, keeping you safe as you learn your new hobby. 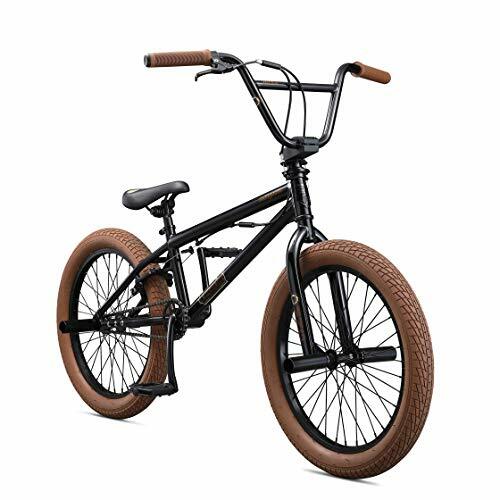 Why We Like It – We like the Mongoose Stun Boy’s Freestyle BMX Bike because it’s designed with new riders between the ages of 6 and 9 in mind, so has been adopted in its height, comfort, and safety. Enhance your handling and improve your skills with the Diamondback Nitrus Complete Youth Bike, designed for strength, agility, and longevity, with its high tensile steel fork frame. This is a very safe option for BMX bikers wanting to increase their competency in skills, stunts or maneuvers. It may be simple but it is extremely reliable, and that’s exactly what learners need the most. It has a single speed drivetrain and linear pull brakes at the rear so that rider can stop with ease, accuracy, and speed. Remain in control with this dual colored BMX freestyle bike. Why We Like It – We like the Diamondback Nitrus Complete Youth Bike because its aim is to increase skill levels of BMX users through its incredible handling, easy use, and reliability. Want to look the part on the bike park as you cycle your way to the top? There’s no better BMX bike to succeed with than the Razor High Roller BMX bike. It has been created to give the feel of a solid, stable and safe ride, thanks to its solid steel frame. It has a 4 bolt system, front wheel pegs, and a quick release seat post clamp. Use the rear and front brakes to increase the safety, precision, and speed of your maneuvers, tricks, and stunts, and show everyone else in the bike park who is top dog! Why We Like It – We like the Razor High Roller BMX/Freestyle Bike, 20-Inch because it is so safe to learn on with its quick release seat post clamp, front and rear brakes, and solidity. • Be sure to also get a bike that you are tall enough for. You don’t want to get an impressive BMX bike, that’s beautiful, strong and responsive, but later find out that you aren’t actually tall enough to be able to mount it! 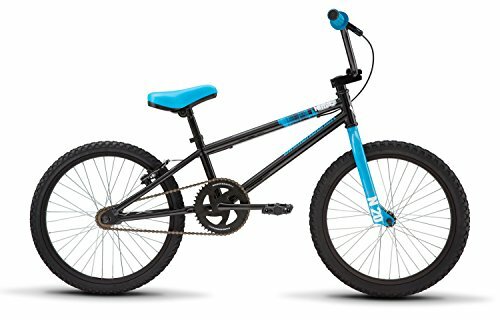 Are there different BMX bikes for different ages? Yes, there are different BMX bikes for different ages. There are certain bikes that specify what age brackets they are aimed at, some BMX bikes that make it clear that they are for smaller kids, usually by reference to height and frame type. For instance, flat frames are for smaller, shorter, younger children, whereas forked frames are for teens and above. There are also bikes that have training wheels, perfect for very young children or for children who are learning to BMX. They have what look like stabilizers attached to them increasing balance and confidence of the new rider, aiding cycling, improving stability and successfully learning tricks. What is a freestyle BMX bike? A freestyle BMX is a strong and hardy bike designed for doing tricks and stunts. It weighs more than a racing BMX bike, has a shorter wheelbase in comparison, and handles well when in the right hands. Is there an advantage to having front and rear brakes? Yes, having both front and rear brakes does increase the amount of control you have over your bike. You can do more varied maneuvers of increasing difficulty and be safer in your outcome. If you are going to be undertaking or learning lots of new stunts, then having front and rear brakes would be very beneficial to technique, style, and safety. How can I increase control? To increase the control you have over your BMX freestyle bike when doing tricks, stunts and more intricate maneuvers, you must consider the frame type. There is a low stand-over frame which is better suited to the younger, smaller, shorter user, to help regain and maintain control of their bike when stunting, increase their stability and improve their core strength. Alternatively, there is the fork frame. This is the more popular option, especially with older, taller, more experienced riders of BMX bikes. The fork fame is commonly created from steel and, combined with its shape, makes it very substantial. This sometimes means that it is heavier than a comparable low stand-over frame, but with the extra weight comes to power, agility, and maneuverability. The added advantage of a fork frame is that you are also less likely to snap it, as it’s more shock absorbent and can take much greater jolts, suitable for jumps, stunts, and landing from greater heights.